It's a strange move. I think it unlikely that someone not now on the 40-man won't make the team out of ST. I'm trying to wrap my mind around this triple negative - "unlikely" "not now" "won't" Does this mean there will be someone on the 25 man who is not now on the 40 man? I totally agree that the Phillies did the right thing in making the QO to Hellickson. I expected that it would yield them a draft pick in the top 30, and that was my hope, but he took the offer, so now they have the veteran pitcher they probably wanted. Had he declined the offer, I think they would have come up with someone to fill that role. They likely would end up saving some money on salary, but might have gone the trade route. We just don't know. Sure is great to have the board up and running again. I was in withdrawal as the roster was set last Friday. 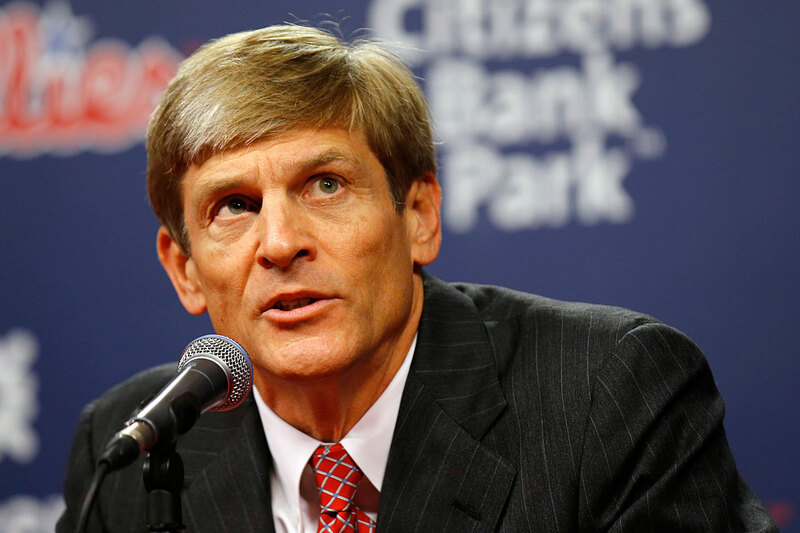 Also during the upgrade downtime, MLB officially designated John Middleton as the Phillies' "control person" which I guess is MLBese for face of the organization, not that that is really news. I don't see it as "really news," but it is a confirmation that Middleton - not Montgomery - officially speaks for the organization, to other owners; e.g., at owners' meetings. When ownership meets to vote on things (think ratifying the new CBA when it's finalized), Middleton is in that role - not Montgomery. It's another formal step taken by the organization, and approved by MLB, that indicates we have a different leadership than we did two years ago. All to the good! Indeed! All to the good! We're not your dad's Phillies. Not really news there, either, other than revealing his specific ownership percentage. Phils traded Jimmy Cordero to the Nats for a PTBNL. Not a great return, but they were constrained by roster issues. Once they DFA'd him last week getting the roster set for the rule 5 draft, it was clear they feel he had slipped as a prospect. Still, many thought he was likely to be lost in the rule 5 draft. Did Washington put him on their 40 man roster? I'd guess the PRBNL will be settled after the rule 5 draft. They could get a player then who is not taken from the Nationals and not have to make a 40 man roster decision until this time next year. At least we don't lose Cordaro in the coming rule 5 draft. What was notable was that the Phillies openly stated it. Might be the first time ever that they've done that, regardless of the percentages. I'm not sure they've even ever (officially) identified all the members of the ownership group before. The Phillies have released RHP David Buchanan. Presumably at his request/wish. He evidently cleared waivers, and if he did, he has the minor-league service time to become a minor league ("6-year") free agent. Here are some rumors for the hot stove league from Fox. Anyone interested? Any likely? I'd be interested in Dozier. He might not be as good as he was in 2016, but he is an average 4+ WAR player for his career, and he's reasonably priced. And if he does manage to kep up his 2016 production, we'd have an offensive star. The problem might be that he's at his peak value, and so we would probably have to buy high. Yeah I just don't know why you'd pay the trade price for a player who is a 31 year-old free agent after two seasons, unless the Twins are willing to take a lot of single A material. I guess the presumption is he wouldn't be expensive because he is a salary dump but he's not that expensive, multiple teams can definitely shop at that market. The That Ball's Outta Here article about this fantasized that Hernandez and Tocci could get it done - doubtful. And that the Phillies could flip him before next season which I suppose is technically true. It depends on what the trade price is. There are many combinations of prospects I'd consider giving up for two years of a 4-6 WAR player, with the possibility of getting first crack at re-signing him if he continues to rake, or to flip him for some other area of need if the Phils aren't contending by 2018. The Phillies haven't had even a 5 WAR offensive player since 2011. The last time a Phillies hitter exceeded Dozier's 2016 WAR was Chase Utley in 2009. 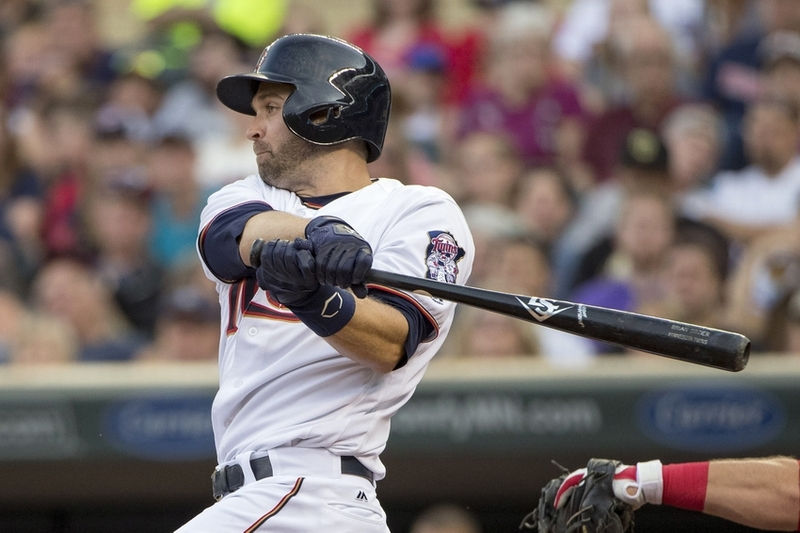 Dozier may not be able to keep it up, but he might. It seems worthwhile to gamble a little to get a player of that caliber.